Marry new technology to old-fashioned policing, and you've got something special. The car is found just outside Picketsville, Virginia, a smoking ruin of twisted metal and shattered glass. It takes only a glance to confirm that this is Ike Schwartz's car. Ever since he left the CIA, the incorruptible Picketsville sheriff has made enemies at home and abroad. Now one has caught up with him, with a bomb powerful enough to turn quiet Main Street into a smoking crater. Is this a cop killing - or domestic terrorism? The town plunges into mourning, and Ike's wife, Ruth, the president of the local college, puts on a brave face as the sheriff's department organizes a manhunt, the likes of which Picketsville has never seen. Back at the CIA, Ike's old colleague, Charlie Garland, joins the hunt, becoming fixated on a blurry videotape of the crime scene. Charlie's elastic job description includes monitoring Ike's life. Investigations - led by more than one player - fan around and out of Picketsville as far as a small town in Idaho, where Martin Pangborn, head of the radical militia called the 51st Star, runs his organization. If some banks and businesses are too big to fail, are some people too deeply connected or too wealthy to bring to justice? Is Martin Pangborn such a person? The 51st Star's tentacles run long and deep. But the Vulture is something no one, not even Martin Pangborn, is prepared for. 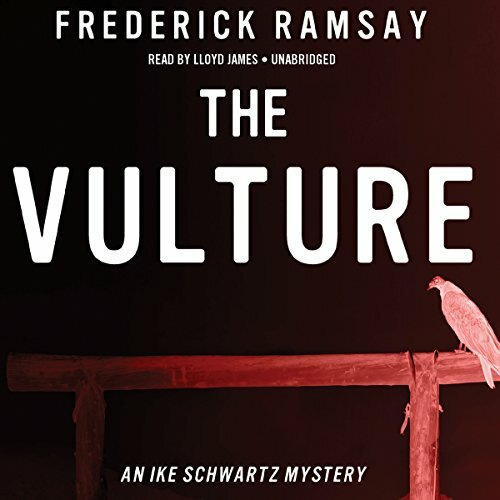 ©2015 Frederick Ramsay (P)2015 Blackstone Audio, Inc.